Keep your wellness program in a silo. Share non-encrypted personal health information. Create programs that exclude some employees. Design a program that is overly complicated. Require verification for every activity. Compare your participation rates to other companies. Create a program that is too challenging. WellSteps helps hundreds of worksites develop and administer their wellness programs. Most of the employee wellness program managers and wellness coordinators that we work with are very good at what they do. But, occasionally they make some mistakes. At a minimum, these mistakes can put a damper on your wellness efforts. At a maximum, some of them have the potential to completely destroy your wellness program. There are a lot of mistakes that employee wellness program managers can make. Here are the top 10. 1. Become a wellness accountant. There is nothing wrong with being an accountant if that is your job title. Employee wellness program managers are not typically trained as accountants and yet we have found that some company wellness program managers spend most of their time acting like accountants. They are not doing taxes or creating financial documents; they are carefully tracking, monitoring, reporting, and validating wellness incentive points for every single employee. Some wellness coordinators spend most of their time working with spreadsheets. They spend days poring over individual point totals, correcting errors, and generating incentive reports used both by the employee and the employer. Instead of spending their time focusing on helping employees adopt and maintain healthy behaviors they have become spreadsheet ninjas who are more familiar with pivot tables then personal health assessments and Pilates. 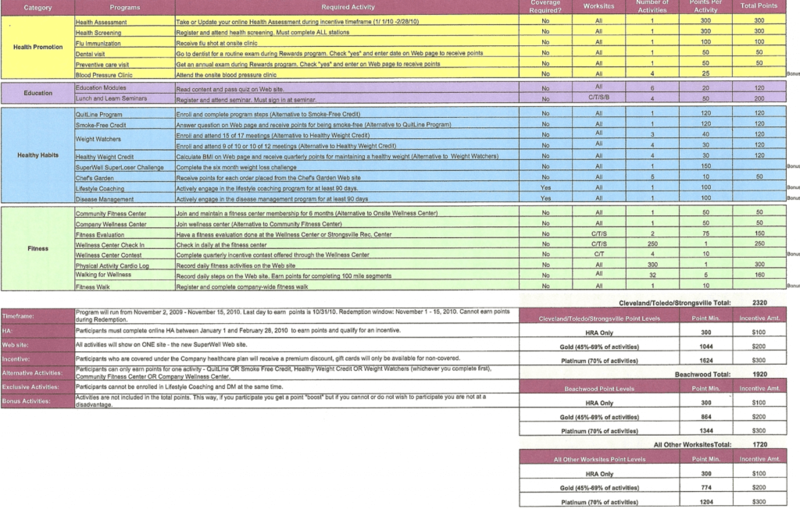 Here is an actual example of an incentive reporting spreadsheet that one employer was using. It looks very complicated and most employees won’t report their points just because they can’t stand the spreadsheet. It reminds them of doing their taxes. If it is not super easy for employees to report, view, and update their points they won’t do it. Despite the good intentions of your wellness program, if it’s a hassle to participate and get their incentive points they won’t engage and your program will have no effect on employee health and productivity. Worse, the amount of effort and time required to gather and summarize this data can be overwhelming. Employees don’t like it and wellness program coordinators have to spend an enormous amount of time managing it. Incentives are an important but small part of a much larger wellness program. Wellness program coordinators who become wellness accountants can get so focused on administering the incentive program that they miss the forest for the trees. They get caught up in the minutia of the incentive program and they lose sight of what’s really important: helping employees be healthy. Every employee wellness coordinator and director should stay focused on helping employees adopt and maintain healthy behaviors. But what about the need to administer the incentive point system? Well, technology can easily take care of almost all of that and do it for an extremely low cost. Instead of a complicated Excel spreadsheet, it’s much easier to use a web-based system and mobile app. 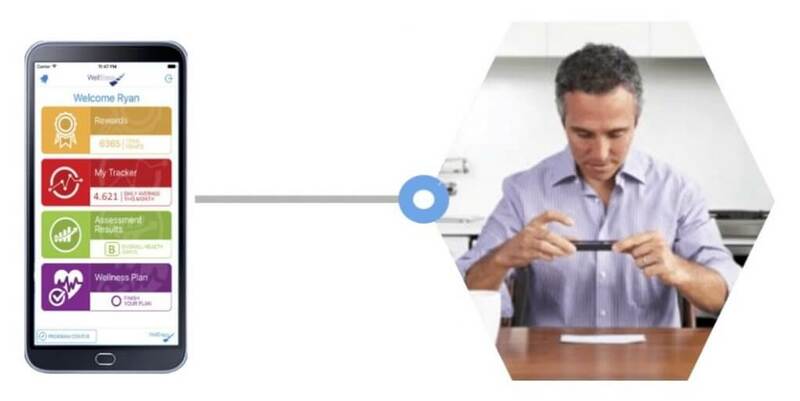 Employees are constantly checking the status of their points just like they are constantly checking the number of steps reported on their wearable device. A good wellness incentive management platform will keep employees constantly informed of their point status and incentive progress. Without such a platform, every employee will continually be asking wellness coordinators if their paperwork has been received, if things have been verified, if they have the necessary points, or if they qualify. The hassle factor for the wellness coordinator can be tremendous. Here is an example of a wellness incentive management system that updates employee’s data in real time. It is an incentive dashboard that they can check 24 /7, using any web enabled device. WellSteps offers a wellness incentive management platform called Rewards. It allows wellness program professionals to manage every aspect of an employee wellness incentive program with great ease and at a very low cost. With an incentive management platform, company wellness program managers can get back to work and stop being wellness accountants. 2. 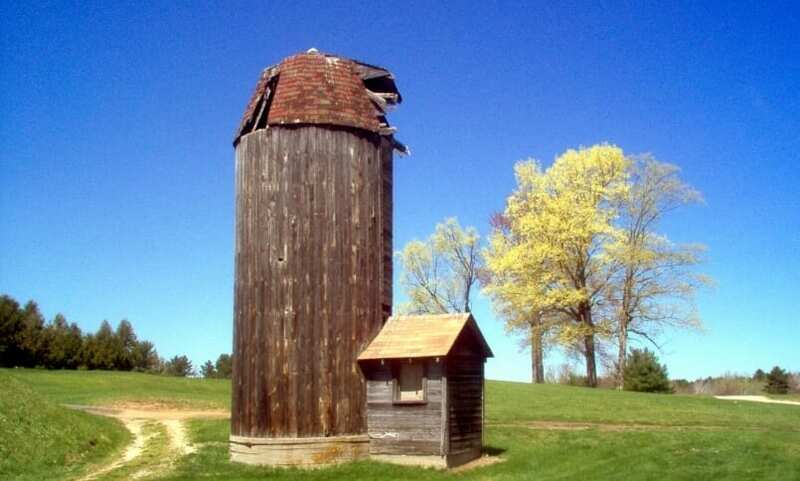 Keep your wellness program in a silo. Every employee wellness program manager is doing his or her best to have a successful program. Sometimes wellness programs are managed in isolation to everything else that is going on within an organization. When budget cuts happen, and they will, stand-alone departments and programs will be some of the first ones to be eliminated. If you build and administer your wellness program as an independent and unconnected effort within your organization, you and your wellness program will be vulnerable. If your wellness program is not fully integrated into your organization at multiple levels and across multiple departments, your wellness program seems less important. Here are a few things you can do to make sure your wellness program is integrated throughout your organization. Every wellness program should create a wellness committee. 7 to 12 individuals from across the organization should be invited to participate in your wellness committee. They should provide input, guidance, support, and ideas to help keep your program going. More importantly they give you access to many departments and branches within your company. Many departments are naturally connected to your wellness efforts. Safety, HR, benefits, marketing, medical, and IT all have some overlap with your efforts in wellness. Include someone from these departments on your wellness committee. Reach out to them and offer to help them with their work. Likewise you may need some help from them. Include a benefits-based reward as part of your wellness incentive plan. When your employees participate in wellness, offer them a discount on their insurance premium, a contribution to their HSA, a paid day off, or some other reward that is directly tied to their benefits. 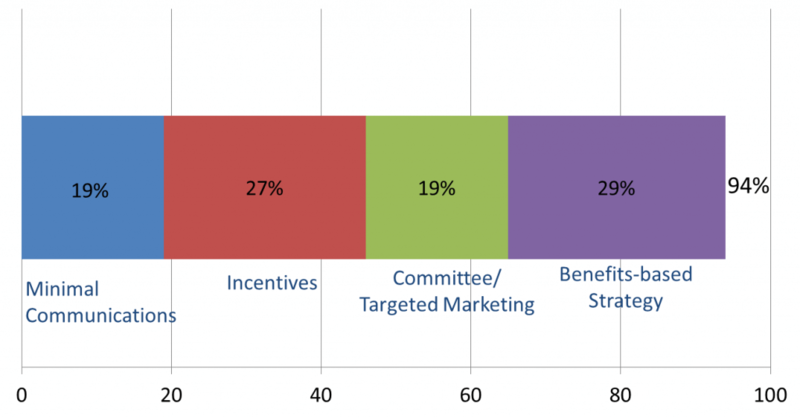 When companies use a benefits-based incentive strategy, the motivation to participate increases significantly. Companies with a benefits-based incentive program typically have 30% higher program participation. Continually work to cultivate strong leadership support for wellness. At first glance, this may seem impossible, but it’s not. I have previously blogged about how to cultivate senior leadership support for wellness. In this earlier blog I have identified several steps you can take to get your senior leaders to not only participate in your wellness program but provide ongoing, visible support for everything you do. Follow these steps and your wellness program will begin to work its way into the very fabric of your organization. When that happens, wellness becomes part of your workplace culture and that’s when you start to enjoy the big benefits of having a wellness program. 3. Share non-encrypted personal health information. 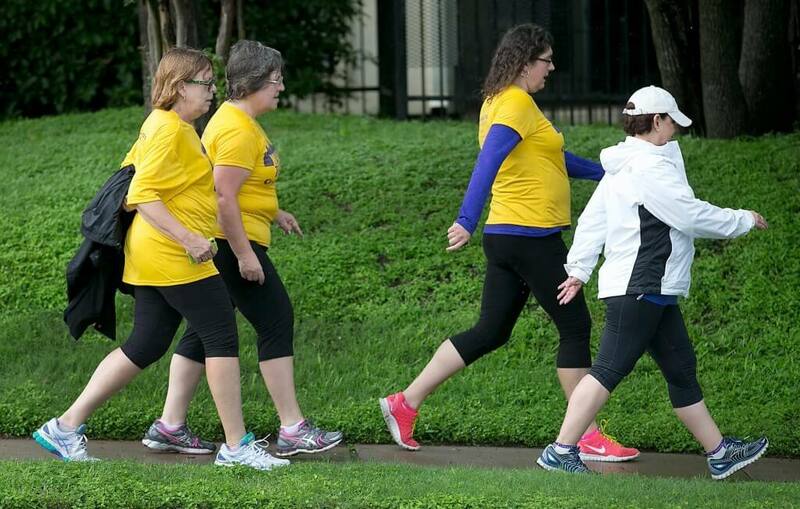 Employee wellness programs care about helping people. Exposing the personal health information of employees is the last thing they would ever do on purpose. Yet workplace wellness program often share non-encrypted personal health information by email or flash drive. Because program managers care about people, this mistake is most likely due to a lack of awareness that could easily be resolved by training. But it does happen and it is illegal. It is a violation of HIPAA. Sharing non-encrypted data happens too frequently at hospitals, medical clinics, and labs—places that should know better. The penalties for violating HIPAA are substantial. Many organizations who have not protected personal health information have been penalized for violating HIPAA. Your employees will not be happy if they discover that their personal health information has been exposed by the negligence wellness program personnel. Your company could get bad press or worse, face ugly lawsuits. You might even lose your job. Here’s how you solve this problem: don’t share the personal health information of employees with anyone for any reason unless it is encrypted. It is simple to do. Here is a video tutorial to show you how to encrypt Excel files. There may be some other things you can do within your office and on your computer to reduce the risk of exposing personal health information. Ask your IT and/or legal departments for help. 4. Lose sleep over non-participants. Think about your entire workforce as being represented in the graph below. It shows 100 of the employees of just about any typical workforce. About 20% of all employees (in grey) are already eating healthy, exercising and avoiding tobacco. Quite frankly, they don’t need your wellness program because they’re already maintaining a healthy lifestyle. Yes, we want them to continue but even without your wellness program they’re probably going to enjoy all the benefits of healthy living. Then there’s the next group in blue which will participate and engage in your wellness activities but they’re going to need some motivation and some support. Incentives are pretty effective at getting these people to start the engagement process. Then there’s another 30% of the workforce (in red) that is going require a lot of effort on your part to get them to engage. You are going to have to beg and plead to get these people to begin to have a healthy lifestyle. Your effective marketing efforts, posters, communications, and leadership support will go a long way to getting this group to more fully engage in your wellness activities. A meaningful benefits-based incentive will get these people to participate. And then there’s the last group in this chart, the group in black. They represent about 5 to 12% of every population of workers. I call this group the “over my dead body” group. They may never participate in your wellness efforts, they think their health is none of your business, and they think they should be free to do whatever they want to their own bodies regardless of who is paying for their cost of medical care. This group might not ever participate in your wellness program but they still need constant encouragement, incentives, and peer support before they will even begin to think about participating. The people in this group probably need your wellness program the most. They have the highest health risks and the worst health behaviors. I’ve written extensively about the most effective ways to get employees to participate. If you are already doing everything you can to get maximum program participation and you still have some stubborn nonparticipants, don’t worry about it. Don’t lose any sleep over it. You are doing everything you possibly can to lead them to a long, healthy, high-quality life. They will join you when they are ready. I encourage you to continue to reach out to them, love them, invite them to participate and then, don’t worry about them anymore. Sleep well knowing that you have done everything you can to help. 5. Be the food police. As worksite wellness program managers we want to help all employees have healthy diets. We all share the same message but there are differences in the methods we use. Since program managers are supposed to be examples of healthy living, everyone is watching what they eat and whether or not they are active. Having employees monitor everything you eat is just part of the job of a wellness professional. The problem arrives when corporate wellness program managers become the food police. Your employees do not want to be told what they can and cannot eat. In fact, many of them, especially the nonparticipants, may want nothing to do with your healthy lifestyle. They may dislike all fruits and vegetables—especially kale! They are going to eat whatever they desire and the last thing they want is someone forcing them to change their diet. Rather than comment about every single tray in the cafeteria just let people see your tray. Lead with a healthy lifestyle and most of them will follow. Don’t force anyone to do anything. Make healthy choices available to all, reduce the prices of healthy choices, and let people decide. Wellness programs are supposed to be fun and enjoyable journeys to healthy life. When we start forcing people to comply to healthy behaviors those behaviors never last and we just make people angry. Rather than make big and bold changes to the work environment consider making small changes across time. For example, one worksite wanted to remove the deep fryers from the company cafeteria. But rather than remove them they made the fryers available only on two days out of the week. Eventually people started eating less and less fried food and within a year the fryers were gone. Don’t get rid of all birthday celebrations. Ask people to bring cakes and sweets and goodies only on one day of the month. Rather than having birthday cake in the break room two or three times a week employees can bring healthy options and look forward to the one day of the month when all the cakes and candies show up. The cakes and desserts have not been removed they have just been better organized. 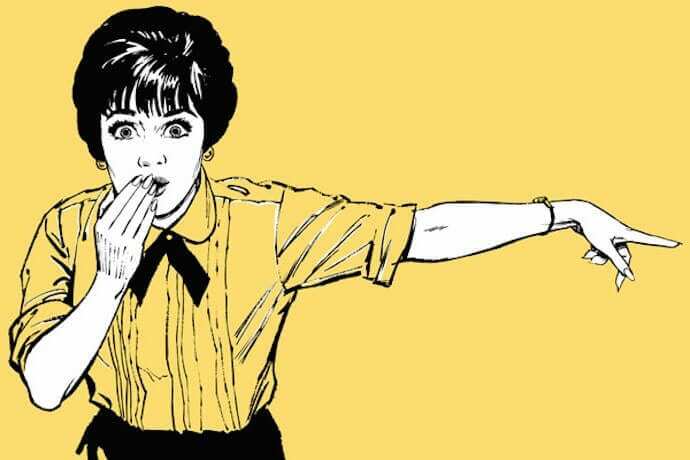 In many homes the women are still the food gatekeepers. Quite often women do much of the food shopping and food cooking. If you’re trying to help employees eat better your efforts will be way more effective if you include spouses and significant others. Employees will have healthier diets if they have support and encouragement from their significant others. 6. Create programs that exclude some employees. Wellness professionals are overflowing with good intentions. I know one corporate wellness program manager who was a triathlete. After talking with some employees they decided to employees trained for and complete a triathlon. The athletes at the company thought it was a great idea and quite a few people showed up for the first meeting. They got cool T-shirts and started training. 25% of the workforce showed up for the first triathlon training event. After just one week almost all of these employees stopped coming. When the triathlon was finally held the only ones who participated were the ones who are doing triathlons before the program ever began. What started as a fun idea very quickly turned into a complete wellness disaster. There are several problems with this plan. First off, very few people will ever be able to successfully train to complete a triathlon. Most employees won’t even attempt the training. Second, completing a triathlon is probably the last thing most employees will ever want to do. This wellness program did not apply to everyone, it only applied to a very select few employees. Every wellness event and program you offer needs to be made available to all employees. The triathlon idea can still work it just needs to be modified so that everyone can participate. Rather than training for 12 weeks, try a very simple triathlon in one afternoon. A short walk, followed by a short bike ride and a water fight in the park would be a lot of fun and easy for anybody to do. The triathletes in the group can still train for a complete their full triathlon. Everyone is happy. Here is how you can create programs that everyone will like. Provide alternatives to every activity. Give people options and they will pick the one that like the most and still participate. If you provide smoking cessation for the smokers then, at the same time provide incentives for those who are non-smokers. Create a program to help your diabetic and pre-diabetic employees eat healthier diets and have active lifestyles. At the same time you can reward any employee who already has a healthy lifestyle. Many of the components of the diabetes program are good for all employees regardless if they have diabetes. 7. Design a program that is overly complicated. A few years ago, a company hired me to advise them on their incentive program. They had worked hard to create the program which used an elaborate Excel spreadsheet and point system. The program had over 100 lines of activities, requirements, exceptions, rules, point totals and reward standards. Someone had invested a lot of time and effort into getting this wellness incentive program designed and tested. When the program went live, they were surprised that no one participated despite the sizable incentive reward. I pointed out that the program might have been too complicated and cumbersome. What I wanted to say was that participating in that program was as much fun as doing my taxes! For a wellness incentive program to be effective, it must be easy to explain, easy to understand, and easy for employees to use. Here’s the one rule that guides everything we do at WellSteps: Simpler is always better. Keep communications clean and simple. Keep the incentive plan easy to understand and simple. Make event registrations as easy as possible. Make a list of the three most important things you want to accomplish in your wellness program. Stay focused on these three things. If an activity or incentive or event is not directly tied to one of these three things don’t do it. Design your program so that the least among you will have no problems understanding what they are supposed to do and how to do it. Pilot test your communications and marketing materials to make sure people understand what you want them to understand. 8. Require verification for every activity. Your wellness program should be a reflection of your worksites desire to cultivate and encourage good health among your employees. It should demonstrate to your employees that you truly and honestly care about them. That feeling goes away when they realize that they have to verify everything they are doing to get their wellness points. When you ask employees to verify every activity you are saying to them, “We don’t trust you. Prove to us that you have done everything required to earn this incentive”. Obviously it is important to verify some wellness activities and yes, some employees are very dishonest. Unfortunately when you require verification of all activities you send the message that everyone who works there cannot be trusted. Some employees feel that this is an invasion of privacy or that the wellness program is trying to micromanage their health. This can do a lot of damage to employee morale and the relationship that exists between employees and management. Here is an example of a three-year incentive plan that we encourage groups to use. It includes activities that are selected by the wellness coordinator and the wellness committee within each company. (Don’t forget to review Wellness Program Incentives: The Complete Guide) Every plan is customized to each particular company. It is extremely important that the wellness committee have input and ideas that are adopted as part of this process so they get a sense of ownership over the incentive strategy. Pay close attention to the items in red. When you have an effective wellness platform each of the items in red can be automatically verified without any extra effort on the part of the employee. If your wellness management software is good you will already know who has completed biometric screenings and you will know what their values are. You will know who has completed campaigns screenings and met with a health coach. You can even know who has been active because you will have activity data from those who have synced their wearable device with your wellness platform. A good incentive management system will do all this automatically. You get great data and your employees will feel that you trust and value them. Verify the really important activities that are high in points, and don’t worry about the rest. Occasionally, employee will need to verify an activity or two. To make this process simple, the WellSteps app allows employees to take a picture of the verification and have it automatically uploaded to their account. 9. Compare your participation rates to other companies. Employee wellness programs often compare their programs participation rates with those of other companies. There is nothing wrong with looking around at other comparable companies to see how well you are doing. The problem arises when you compare your participation to a worksite that is not exactly like your own. There is a big difference in wellness program participation rates depending upon the type of organization. Take universities for example. Participation rates among faculty are always dramatically lower than participation rates among staff (I guess that’s because faculty members think they know everything already). The same thing is true for large healthcare providers. Physicians are terrible at program participation but the supporting staff often show up in droves. Boise school district is a WellSteps client that one the C Everett Koop award last year. In 2011, 2012, and 2013, participation increased from 65.6% to 74.1% to 81.1%, respectively. Each year participation rates increased dramatically. But in the beginning it wasn’t so great. Wellness program participation is influenced by your communication methods, use of incentives, involvement with the wellness committee, leadership support, and whether or not there is a benefits based incentive. Here are some great ideas on how to get the most out of each of these. Minimal Communication: with minimal communication, wellness programs make program announcements via email, newsletters, and posters. Typically with this type of marketing results in about 19% of employees who participate. Extrinsic rewards or incentives: employees are offered rewards when they participate in various wellness activities. The use of incentives can induce another 27% of employees to engage. Wellness committee involvement, targeted program marketing: any time employees are involved in the wellness committee, there is a tendency for wellness programs to have better participation. Having employee representation on a wellness committee gives employees a sense of program ownership. Companies with a wellness committee are more committed and motivated to see that the program is successful. When committee efforts are combined with carefully written and targeted marketing materials that use text messaging, creative graphics, video, company newsletters, and special invitations, engagement goes up another 19%. Benefits-based incentives strategy: lastly, when companies use a benefits-based incentive strategy the motivation to participate dramatically increases. Companies with a benefits-based incentive program typically have 30% more participation. When combined, a well-organized workplace wellness program should be able to reach at least 90% participation. This level of participation is a great start but it is not a complete wellness strategy. Unless your wellness programs and activities are effective health will not improve. 10. Create a program that is too challenging. Here is the most recent obesity trend data for the United States. This graph covers a 57 year period where the number of Americans who are overweight or obese has increased from 46% to 79%. Obesity prevalence has increased and more importantly it has happened over many decades. Obesity is increasing around the world but it takes time. Workiste wellness program managers and a lot of CEOs and CFOs want to see rapid improvements in employee health. So the tendency is to put together an aggressive and challenging wellness program that will quickly improve employee health. A better approach is to encourage and lead employees to take baby steps. Slow and steady wins the race. Think about tobacco control in the United States. At one point over 50% of American adults smoked, but today that number is down to about 19%. This is a outstanding decline in tobacco use but we forget that it took almost 60 years to get here. We still have a ways to go. The improvement we have made didn’t happen overnight, but occurred slower over time. Worksite wellness programs can make a huge difference in tobacco use. An effective tobacco use policy and cessation program can make a big difference, but these programs can take up to three years to be completely effective. 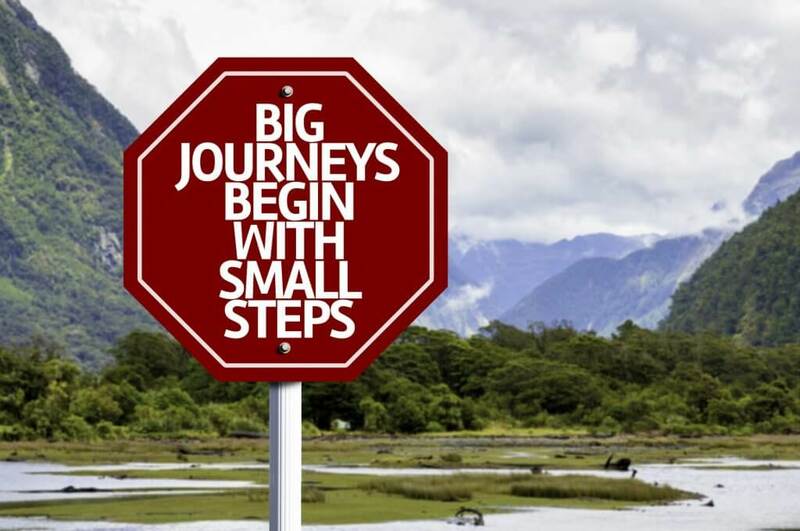 Whether wellness professionals are helping employees improve nutrition, physical activity, or tobacco use, it is better to take small manageable steps than it is to try to do too much at once. The practice of Kaizen helps worksites and companies practice continual improvement. But a big part of Kaizen is to make small, steady steps across time. This is especially true for wellness programs. When your wellness program is designed for success it will help all employees adopt and maintain healthy behaviors. Employees will have great motivation and success when they can see improvement. Make it too hard and they will likely fail. They may never join your program again. Baby steps are easier to accomplish and they come with a sense of fulfillment and ratification. A Wellness program that is built with baby steps is one that is built for success. Employees spend decades turning unhealthy behaviors into lifelong habits. Be patient. Why Offer a Wellness Program? How Much Do Wellness Programs Save? Hi, I'm Dr. Steven Aldana, CEO of WellSteps. As a professor and CEO I've published 7 books and over 75 research articles on the impact of worksite wellness programs. In this blog I share what I've learned.